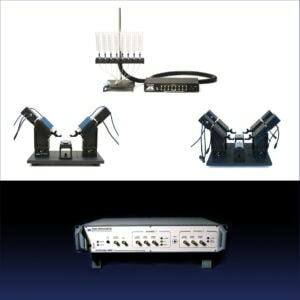 Two or four HS-9A x10 headstages with electrode holders are included. When requesting a quote, please tell us if you would like to change to x1 or x0.1 headstages instead. These same manipulators can also be used for patch clamping.